I'm getting a little old for the heavy work involved in building raised beds with 6x6 landscape timbers. But I did go ahead and build One Last Raised Garden Bed this summer. This time around, I used 4x4 cedar timbers, as the new bed is around three sides of our shallow well, where I didn't want to use treated timbers. 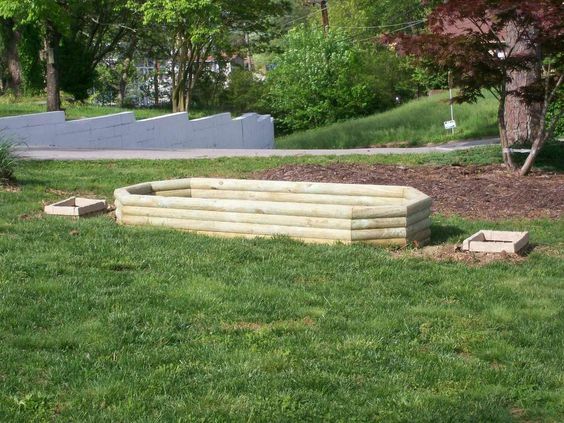 How to Build a Raised Bed with Landscape Timbers Since these timbers are our preferred material to use when we built our raised vegetable beds I will explain how you can build one too; usually with only a few hours of work and two people tops.